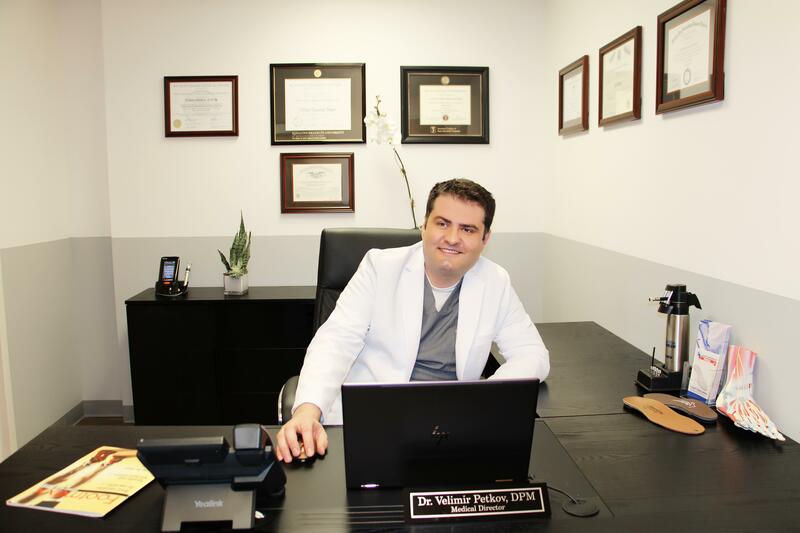 Dr. Velimir Petkov has an extensive background in innovative treatments, which began with the best training. He graduated from Chicago's top podiatry program, the Dr. William M. Scholl College of Podiatric Medicine at Rosalind Franklin University of Medicine and Science. He then finished his residency at the Wyckoff Heights Medical Center in New York, focusing on foot surgery, sports medicine, diabetic wound care and limb salvage. Dr. Petkov has 10 years of post-surgical residency experience treating thousands of New Jersey residents. Dr. Petkov is experienced in some of the most advanced minimally invasive procedures for plantar fasciitis and Achilles tendonitis. Patients of Dr. Petkov appreciate his willingness to spend time with them during appointments and educate them about their foot conditions. While Dr. Petkov can diagnose and treat an array of ailments related to the lower extremities, he has special interests in sports medicine, wound care, and pediatric podiatry. He is a board-certified wound specialist physician by The American Board of Wound Management and board qualified in foot surgery by The American Board of Foot and Ankle Surgery. In an effort to minimize out-of-pocket expense for our patients, we participate with many managed care plans and insurance providers. For any questions regarding your particular insurance plan, please contact our office directly at (973) 315-5555. Our patient care coordinator will be happy to answer your questions and help you with a benefit check.